Happy New Year! 2017 here we come. We find the start of a new year to be so exciting. For us, it’s a fresh start full of opportunities, goals and DIY projects! We are starting this year off with a simple DIY project anyone can create. 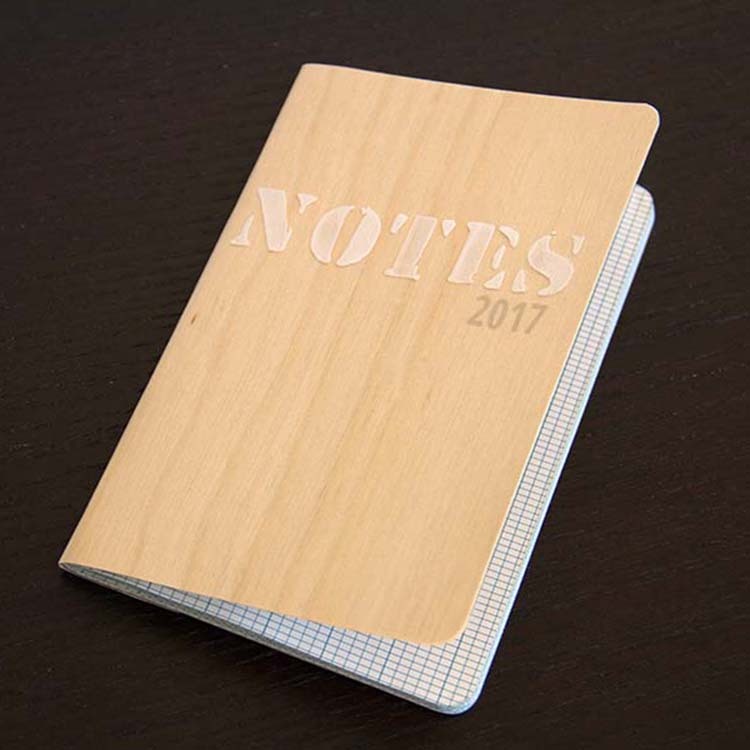 We created this pocket site notebook using an ordinary paper notebook and Real Birch Wood paper. 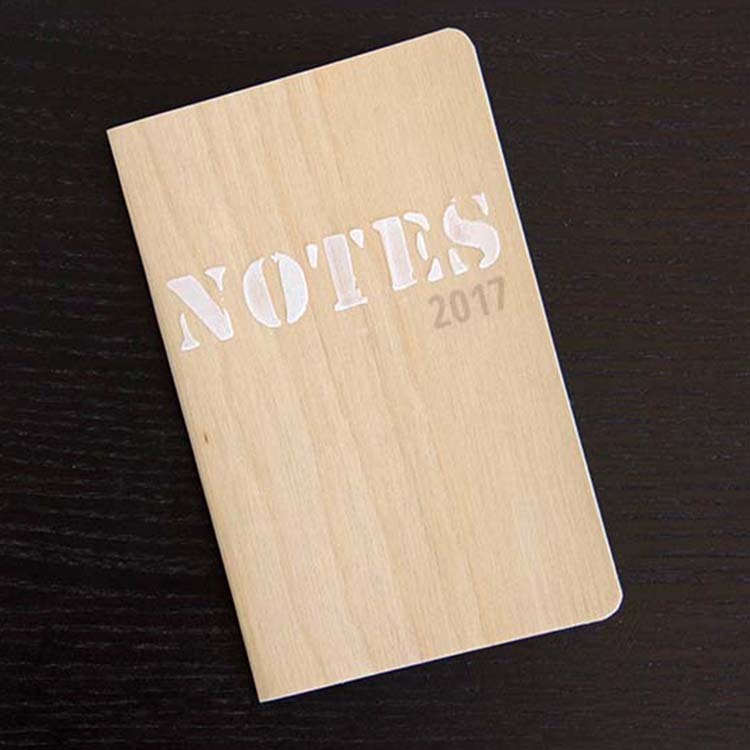 It is the perfect size for jotting down quick notes, ideas and future plans. Pocket size notebooks are super easy to carry. 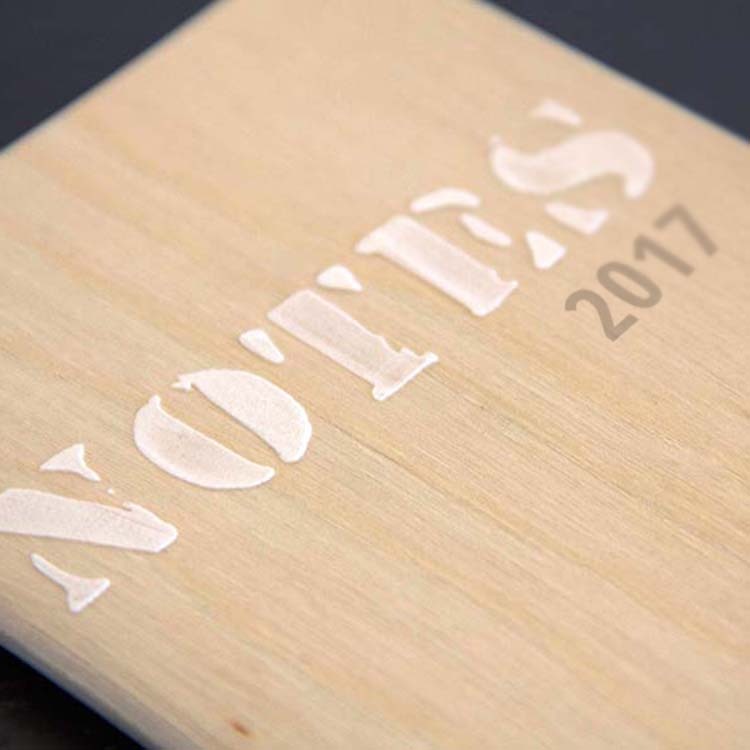 Adding Real Birch Wood paper to the cover makes this notebook much sturdier, and we love how finished this book looks. 1. Measure notebook. 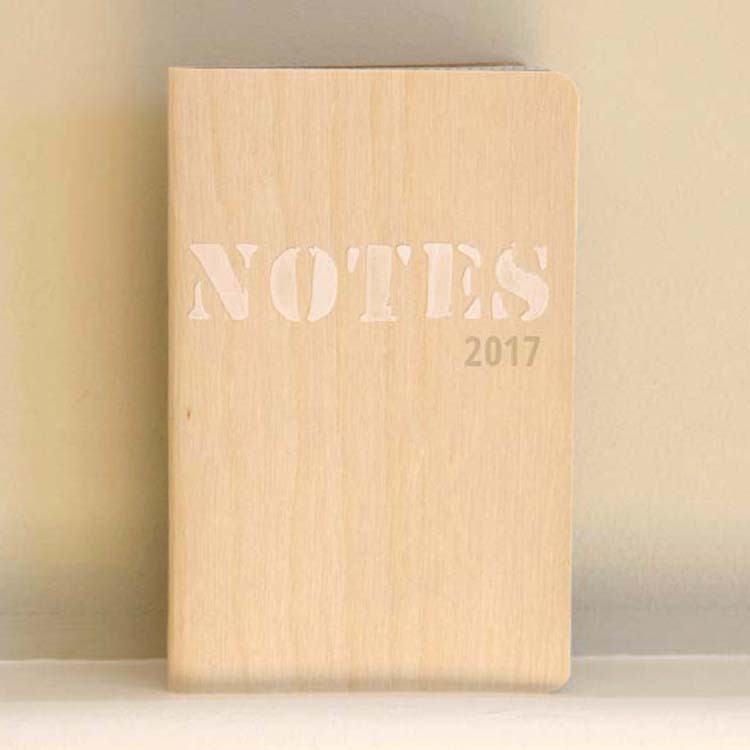 Our notebook is 3″ x 5″. 2. 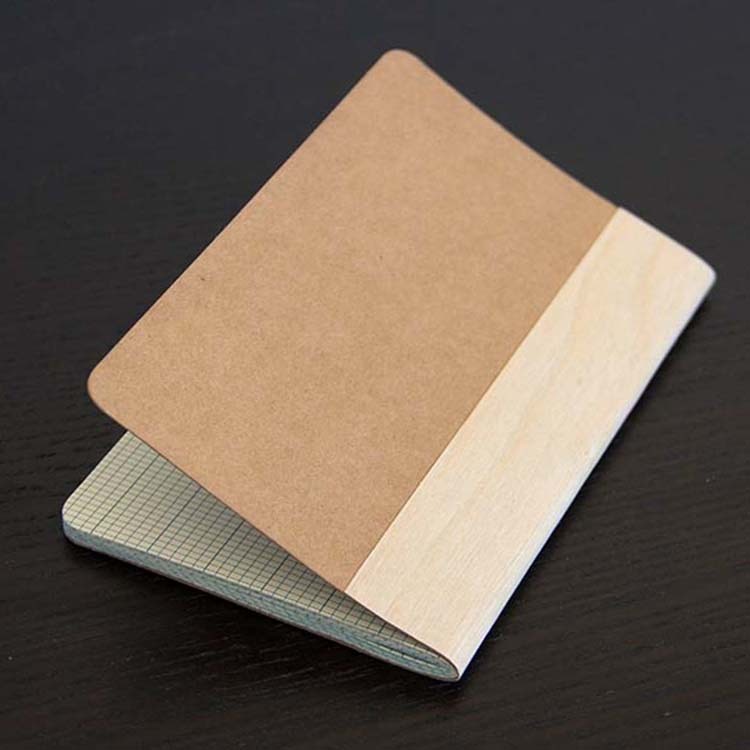 Cover notebook with Real Birch Wood paper. We decided to cover the front and just a portion of the back of our notebook. Cut a piece of Birch Wood paper to 5″ x 5″. 3. Remove adhesive liner from Birch Wood paper. Open notebook up flat with cover facing up, line up and adhere Birch Wood paper. Trim overlap if needed. 4. Embellish your notebook. We used an alphabet stencil and texture paste to create the raised word ‘NOTES’. If you want to add the year, stamp 2017 in grey ink onto notebook cover. This entry was posted in DIY Projects and tagged Birch Wood paper, diy, notebook, Texture Paste.